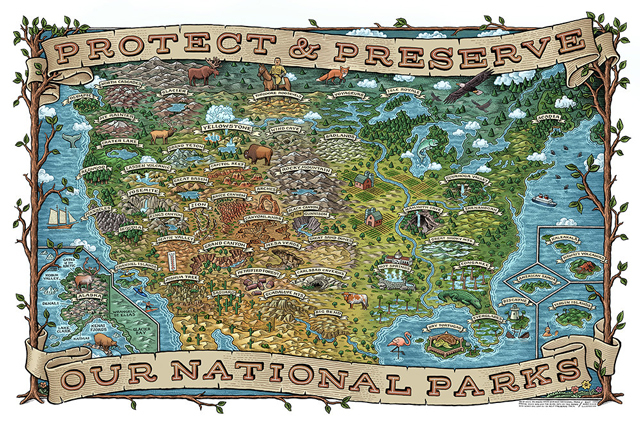 LOOK at this cool map of our national parks!! Tomorrow is the 241st birthday of the United States. Our upcoming Independence Day got me thinking about our great country. 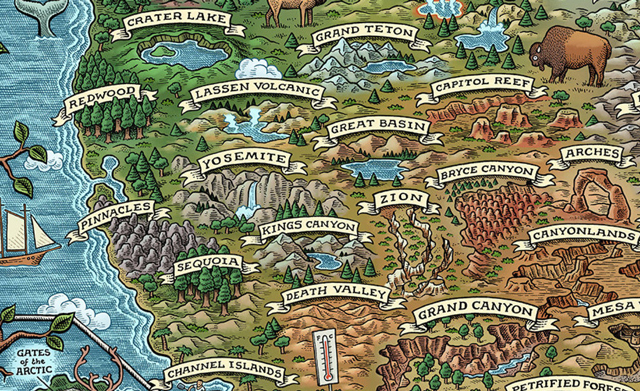 The map is available for $40 on Etsy. Grandiose thing … even the style of performance reminds the maps of the XVIII century … Bravo! A real work of art. Thank you, Pee-wee, I’ll buy and hang on the wall next to the poster of your film … in order to think about great subjects and phenomena more often. Have a Great (Big ) holiday! That looks amazing! Thank you for sharing. Very cool find, P.W.! Hope you’re having a great Independence Day.